I love treasure hunts, maybe a wee hint on this one as to where the deals is. EE sales won't give you this deal. You've got to make sure you are through to retentions for this and even then you may not get it. This is for existing customers only and even then only some will be offered this. Where as Tesco are currently offering 20Gb of 4G data for £20 a month on sim only to everyone. Last time I tried to get an EE retention deal listed on here, they refused and happily allowed me to complete my cancellation. I had been a customer on top tier contracts for 8 years. 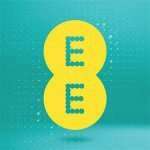 EE are as untrustworthy as Amazon, Google, Starbucks etc. Last time I tried to get an EE retention deal listed on here, they … Last time I tried to get an EE retention deal listed on here, they refused and happily allowed me to complete my cancellation. I had been a customer on top tier contracts for 8 years. 13 years with Orange/EE here! Reached my upgrade date yesterday, so called for this offer today. They've just changed it to 15GB for £19.99 with unlimited Texts and Calls, which was still a good enough offer for me (i was previously on 2GB for £23 per month). And I can leave the new contract any time if I see a deal I'd prefer. Well done, EE! Yes mate 4G,i recieved a call today from the outbound retention team,requested a call back to get this deal for a friend,was told he can only get it through my loyalty,and after 3 months switch billing over to his account...But for whatever reason he can be offered 24gb data and the rest off package..
All i know mate its 4G Loyalty Extra sim only..
13 years with Orange/EE here! Reached my upgrade date yesterday, so … 13 years with Orange/EE here! Reached my upgrade date yesterday, so called for this offer today. They've just changed it to 15GB for £19.99 with unlimited Texts and Calls, which was still a good enough offer for me (i was previously on 2GB for £23 per month). And I can leave the new contract any time if I see a deal I'd prefer. Well done, EE! It's garbage, they value getting a new customer onboard than your 13yrs loyalty, was in the same boat and the retentions part was a joke. This deal was offered to me along with others then when called to potentially take them they moved the goal posts. Finally got one guy who said deals offered would be held for 10 days. Was too little too late for me, gone with Voda. Signal is good overall, 4g in my areas seem faster than EE. Number port went through smooth, billing is accurate so far. I called as I'm due an upgrade and was quoted £24 for 25GB... said no so they gave me my PAC...? Got two lines with them and was interested in the 4gb for £8.99 deal. 20-25gb is over kill for me 6-8gb would be bang on maybe for a few more pounds. Deal posting newbie! This is mohammedasaf first deal post. Help out by leaving a posting tip or just to show your appreciation for their contribution.